Out of the Past: A Classic Film Blog Out of the Past: Happy Halloween! 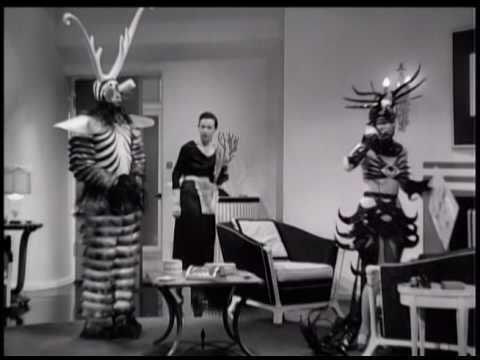 This crazy still is taken from Riptide (1934) in which Norma Shearer and Herbert Marshall don ridiculous bug costumes for a party. Swell! Wow--I want to see this film for this scene alone! Great pic. That is one great scene! John - The movie isn't Norma Shearer's best but it's worth it JUST for this scene which is only a few seconds. Same with Idiot's Delight. The movie is worth it for Clark Gable's song-and-dance number alone. Mercurie - It sure its. Kate - I'd like to see Target come up with those costumes!